The EU’s new MiFID II regulation became effective in early 2018. The second phase of a slew of reforms designed to make European financial markets fairer and more balanced, MiFID II has ambitious objectives: to improve the structure of the markets by offering lower-cost transactions in an environment that makes those costs more transparent. As usually occurs with regulatory changes in markets like these, the effects of MiFID II will be felt by agents outside of the specific market. We have seen and heard reports from Brazilian companies about perceived changes in how European institutional investors intend to conduct ongoing relationships within the scope of their investor relations programs. Tapping into the 20th IR and Capital Markets National Meeting in June 2018, we from InspIR Group conducted a joint study with the Brazilian Institute of Investor Relations (IBRI) to better understand MiFID II’s impacts on Brazilian companies during the six months it has been effective. The study results described below were presented at the meeting above by IBRI council member, Daniela Bretthauer. Such respondent diversity allowed us to gain a very broad view of how the effects have been experienced by companies with widely varying levels of exposure to the stock market. We can see in the graph that we have a clear correlation between share liquidity, as measured by average daily trading volume, and the number of analysts covering a company. This correlation is easily explained by how the investment research areas were structured before MiFID II, i.e., paid with brokerage transactions. Thus, more liquid shares, which had a higher capacity to generate businesses (and brokerage transactions and fees) have more coverage. 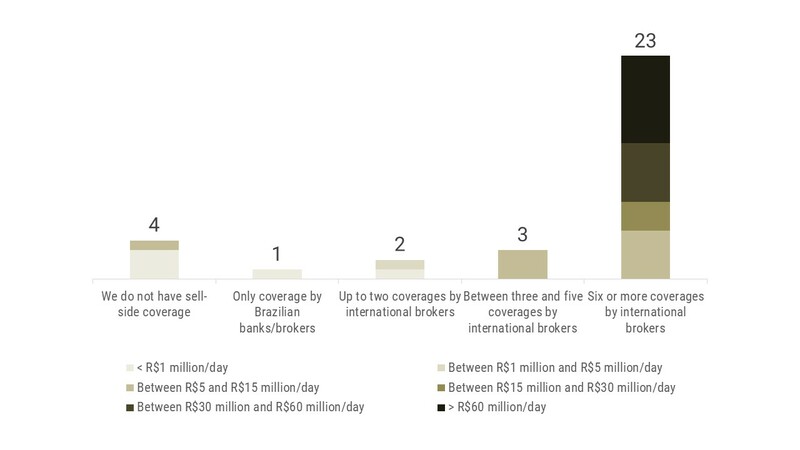 However, it is not clear if this will remain the case if the brokers providing coverage are paid directly and explicitly, as required by MiFID II. 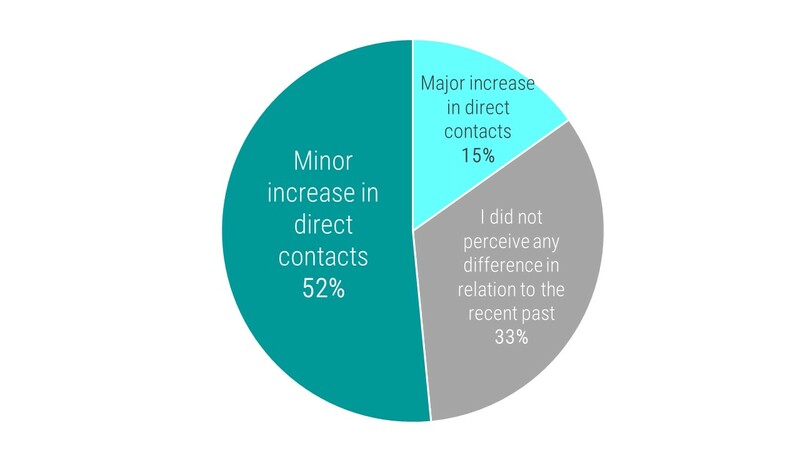 Although MiFID II has only been in effect for a short period of time, over 2/3 of respondents noticed changes in contact frequency and method, whether a major change (15%) or a minor change (52%). European institutional investors are seeking out direct contact with companies, far removed from the brokers who traditionally arranged these meetings. When sorting the answers by liquidity, the trend is even more evident, with 41% of mega-caps and 80% of large-caps perceiving a “major increase.” The mid, small, and micro-caps have diversified enough perceptions so as to make it impossible to recognize a definite trend. No respondent perceived lower buy-side requests, which is particularly noticeable if we take into account that foreign investors reduced investments in Brazil in the first half of 2018. 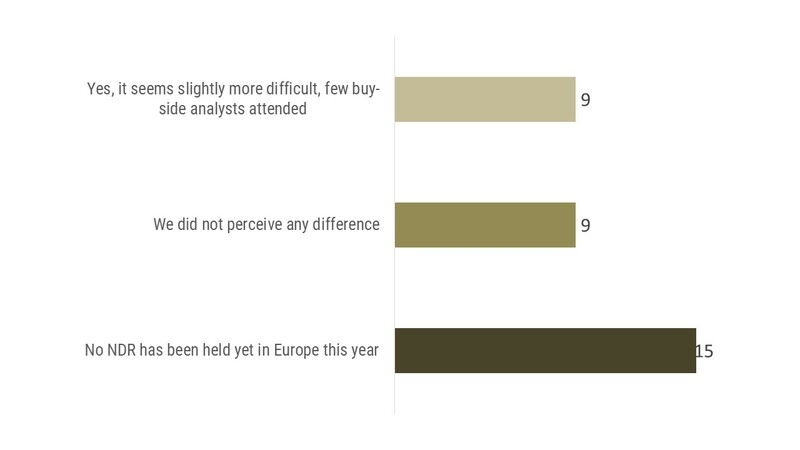 As expected from such a specific question, among the 54% of respondents that answered they held an NDR in Europe this year, the perception of market ease-of-access was mixed. Half responded that fewer buy-side analysts were included in brokers’ agendas. No respondent alleged difficulty or need of directly involving the buy side to complete the agenda. However, we did not identify a correlation between respondents’ answers and the company liquidity, i.e., difficulties seem not to be related to the companies themselves, but to the brokers who were organizing the agendas, one of the anticipated results of MiFID II implementation. 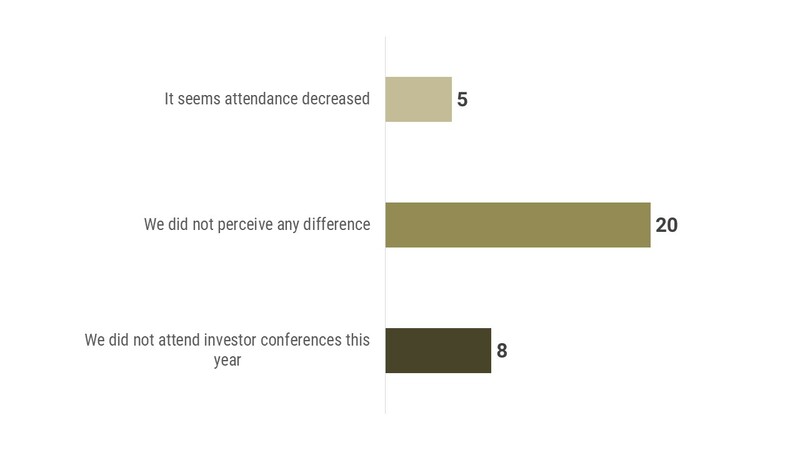 The great majority who attended conferences (80%) did not perceive any difference in European-investor attendance in 2018. They also did not report cases of investors attending only a few conferences, which would reveal that they would be selecting the events according to their relationship with the brokers, as expected. A lengthier period of observation might be required to establish a correlation in this area. In addition, we did not identify a relationship between respondents’ answers and their companies’ liquidity. 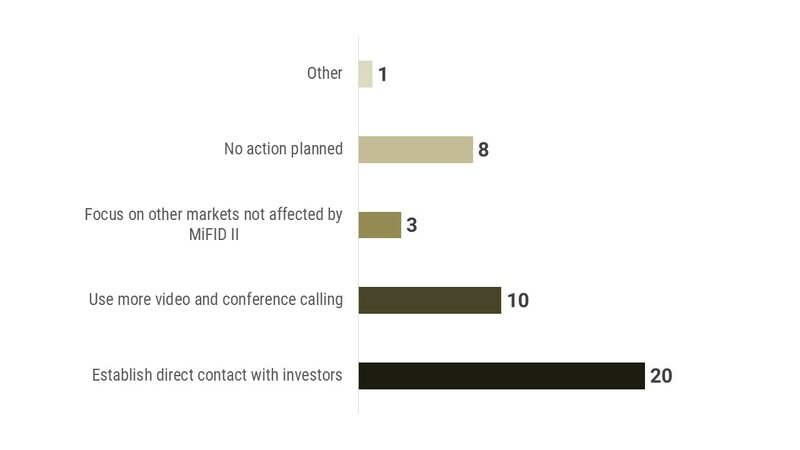 The study results confirm our perception that MiFID II, although still quite new, seems to be affecting IR programs of Brazilian companies already. Such preparation is in line with the expectation that the regulation’s impacts will intensify over the coming years. 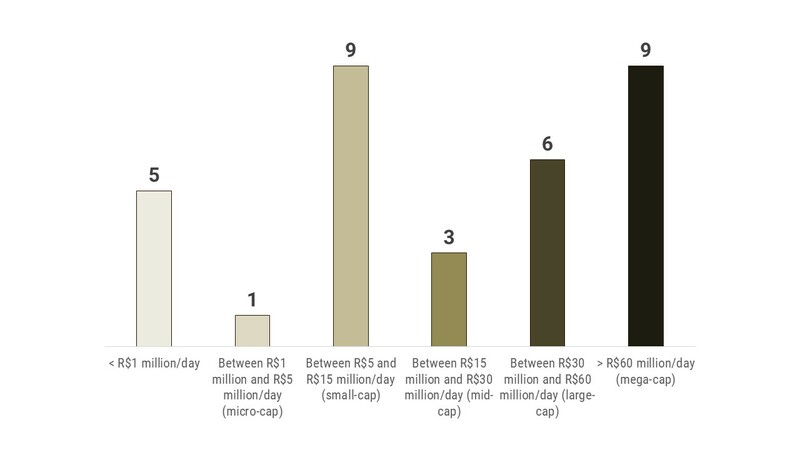 A perception of changing investor behavior is more evident in companies with higher liquidity; namely, the mega and large caps, probably because they have close contact with foreign investors in general and European investors specifically. Still, less-liquid companies noticed changes as well. 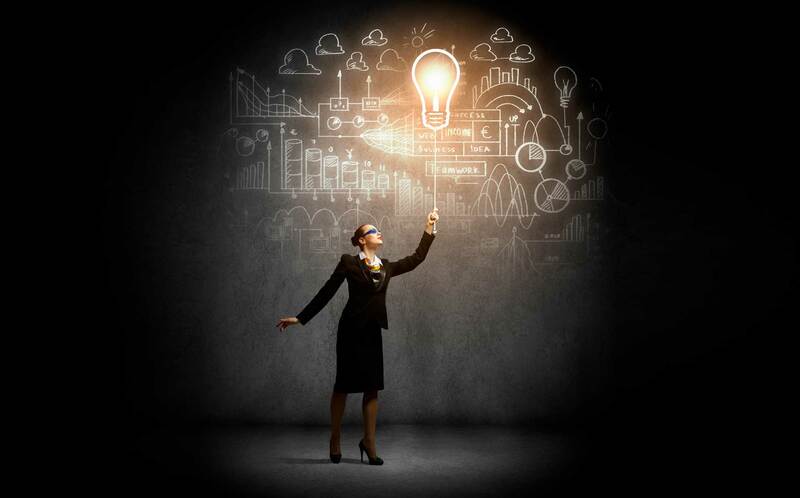 The great majority of respondents intend to make adjustments to their IR programs, at the very least enhancing their direct contact with investors. They will have to increase their budgets and their IR structures to do as they play a role which has traditionally been held by brokers. 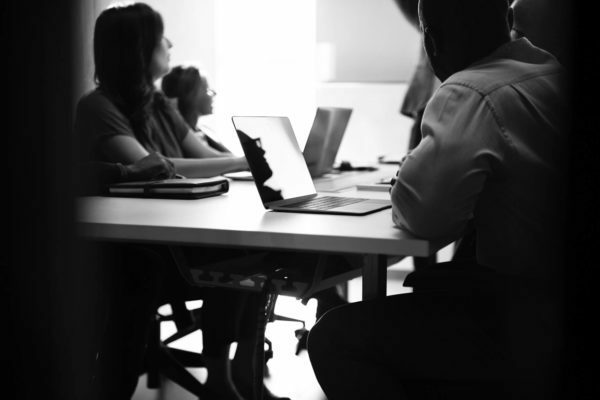 This will not be a simple transition, as the ins and outs of corporate access pose a steep learning curve to the newcomer. Navigating such waters is a difficult and not widely understood process, demanding a distinct skill set and an extensive investor network. Knowing these investors, their preferences, even being able to plan a route to minimize travel time in European cities can spell the difference between success and failure.